In the small green village of Arianiello, rooted in a clay soil, constantly caressed by the stroke of the wind, kissed by the sun during the summer and by the white snow in the winter time, arises Contrada Tognano. It’s here were our loved wine is born, land where we were born and where we learned to hear its breath wich ties us up to her. 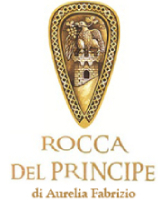 Land vocated for the Fiano di Avellino, evenhistorical text-books of Lapio from the Renaissance Epoc, talk about this Contrada as one of the best for the production of fiano. In 1990, in this Contrada, we have planted our first vineyard of Fiano di Avellino and, in the next years, to preserve the original clone of our Contrada, we have grefted part of the vineyard with the grefts of a hundred years old Fiano plant. The Cru Tognano isobtained from these plants by selecting its grapes wich have been grefted with this centenary clone of Fiano (Prefillossera). East side sandy clay soil of medium mixture, dry and windy climate, 550 mts above sea level with the presence of some water sources, a mix of factors that characterize this cru. Harvest at the beginning of October, maceration with the skin for 15 hours, the first must ferments for about 45 days in steel tanks. After fermentation it refines for 12 months in steel tanks and another 12 months in bottle. Wine of great structure, very complex and fresh, simply the summary of our story, deserved son of its land.